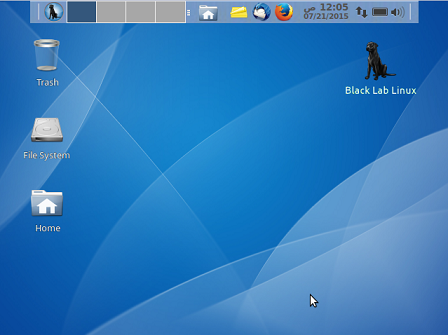 Black Lab Linux is a Ubuntu based distribution, aimed at bringing the stability to Linux desktop. It is well suited for almost every type of linux user, from normal desktop users to geeks and professionals. 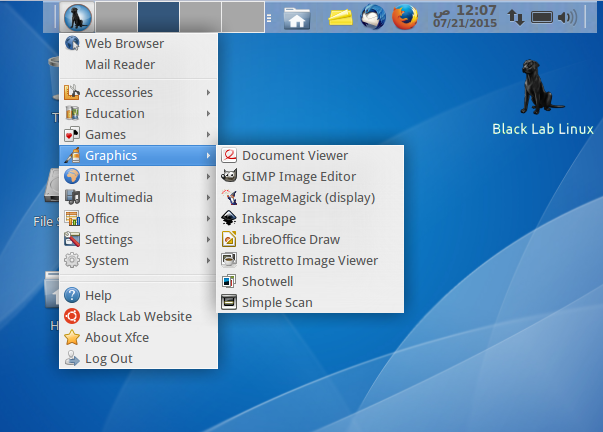 It comes bundled with large number of useful apps to enhance your multimedia, office and home experience of Linux. This is pretty stable, easy to use, lightweight distribution. Originally called OS/4, it was renamed to Black Lab due to copyright issues. 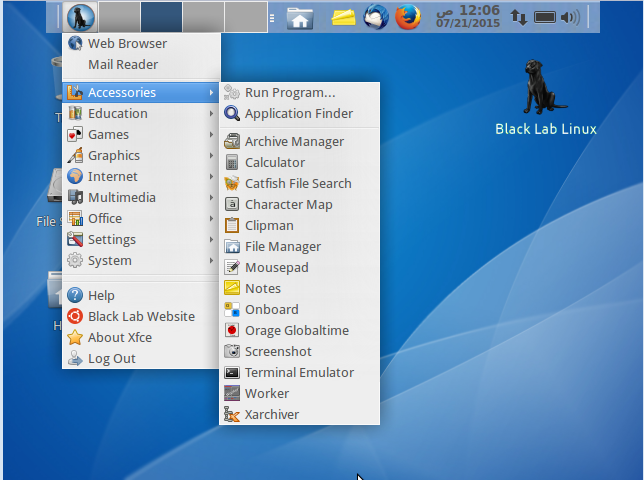 It has been using GNOME desktop environment, but developers of this operating system has recently released the XFCE edition of the operating system, being called Black Lab Linux Xfce 15.7. 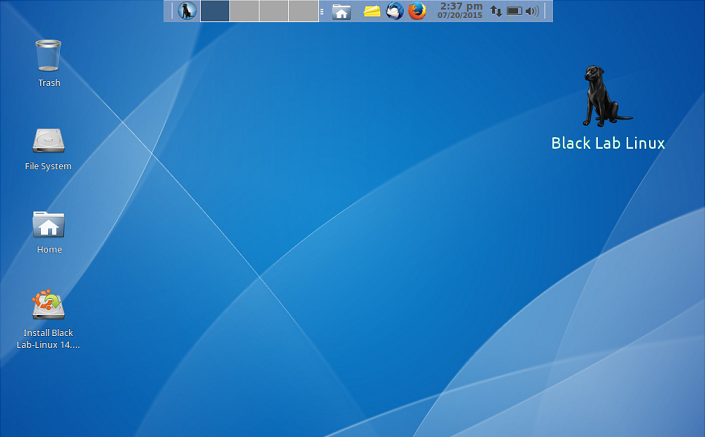 The new release comes with XFCE desktop 4.12 , Linux kernel 4, GCC 4.9.2 and Libreoffice 4. 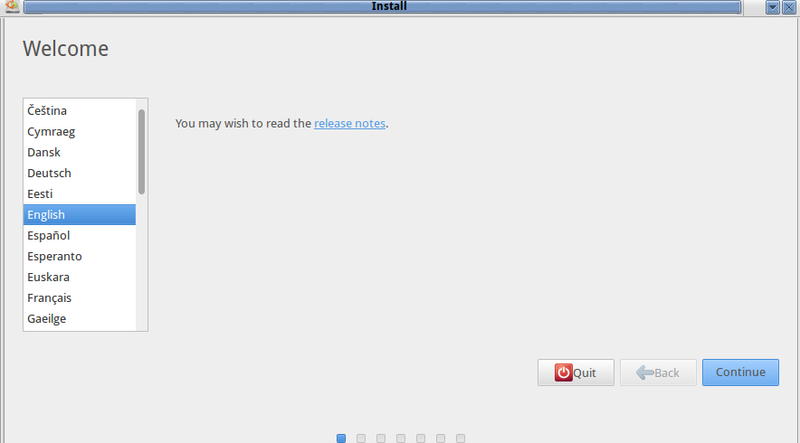 Let’s review its installation process and get familiar with this nice distro. 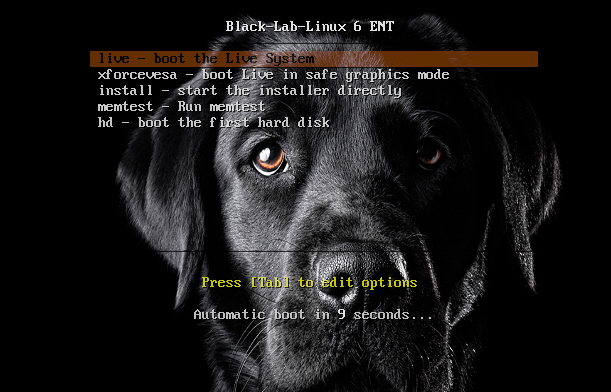 (a) Download Black Lab and burn it to DVD/USB drive and boot your system using this DVD/USB. 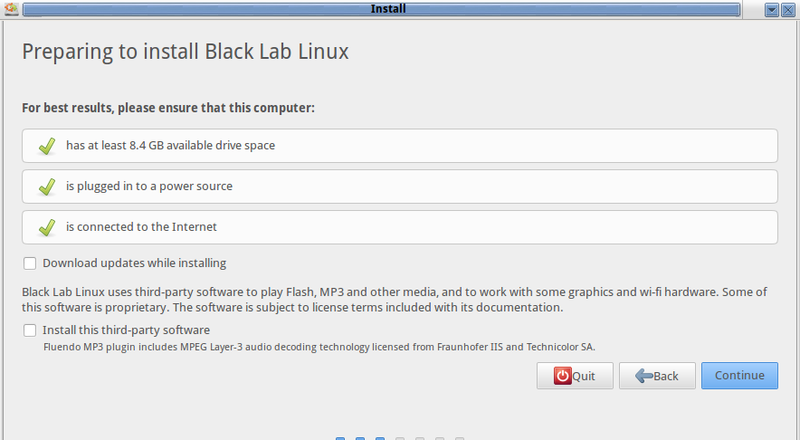 Let it boot into Live Environment and from here click “Install Black Lab Linux” option. 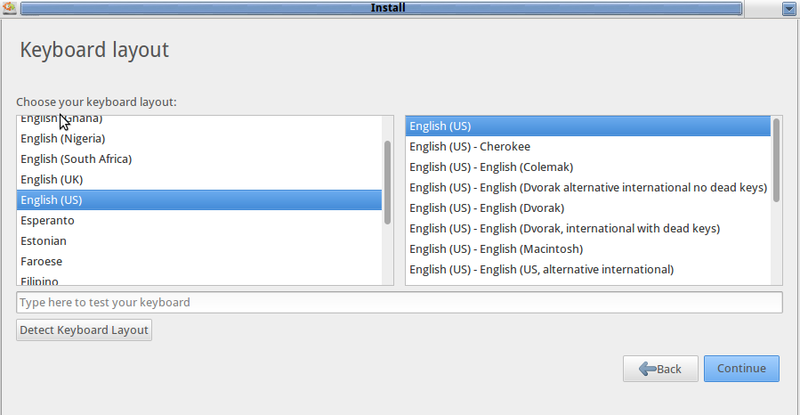 On the very first installation screen, choose your preferred language for the installation and click “Next”. The installer will verify that all requirement are met, before proceeding further with the installation process. Choose how you want to handle disk partitioning, default option will erase your current disk and install fresh OS on it. If you are looking for any custom disk partitioning, you can do it from here. Click “Install Now” to proceed further. On next step, select your keyboard layout. 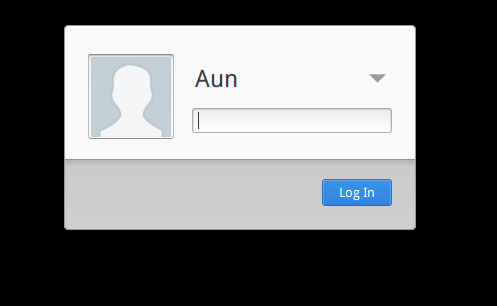 Specify your user account on this step. That’s it, the installation process is underway now; it should complete quickly. As soon as the installation is complete, it will ask you to reboot your system once. 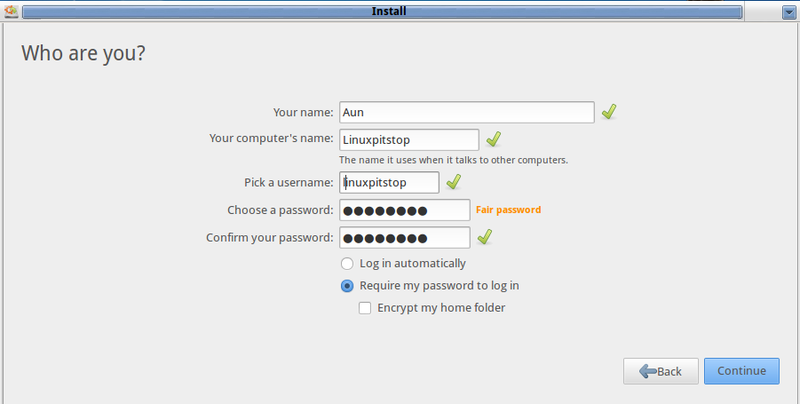 Login with the username and password your specified earlier during the installation. 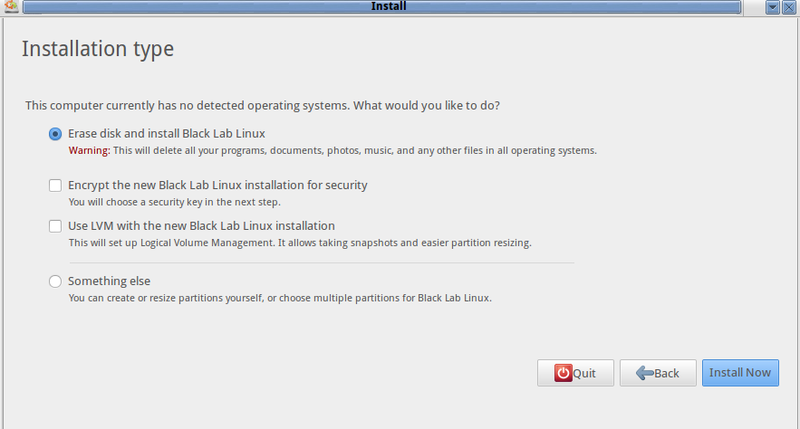 Besides extremely lightweight, eye candy interface, let’s see what this XFCE Black Lab edition got. It has large number of applications for your daily use, accessories to make your desktop experience more pleasing. It comes pre-installed with very valuable graphics and multimedia related apps. You can add more apps easily via package manager, but default ones should suffice for majority of users. 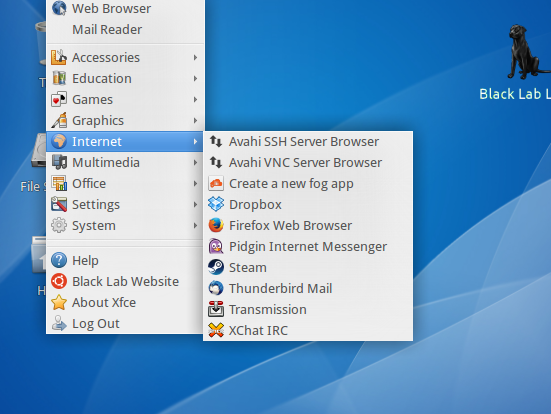 “Internet” menu lets you connect with the whole world using Internet browsers, chat software, games, and other transmission applications. Black Lab Linux is all about power; it is a complete operating system and should work perfectly fine for all kind of Linux lovers. It is lightweight, boot time is pretty impressive, user interface is charming and working of the operating system is quick. Try it out now, our verdict; you will not be disappointed.